I suggest reading my Introduction to the Chakras and post about the first chakra before diving into this article! The second chakra (aka. sacral chakra or svadisthana in Sanskrit), is orange in colour and located just below the navel. This chakra is responsible for looking after the health of the body parts located in this area of the body, including the pelvis, lower abdomen, reproductive system, bladder and kidneys. Although many health challenges can be related to the ill health of this chakra, a common one we see in this day and age is adrenal fatigue (you can read more about adrenal health towards the end of this article). feel empathy and warmth towards others. But if it’s not working, you probably feel like life is working against you! be unable to express your sensual and sexual self fully. The great news is that you can bring these ailments into balance by doing work that specifically focuses on balancing the sacral chakra. Here’s what I love to do, and recommend! To help you get started, I created this sequence to mobilise and release the hips, pelvis and lower back. Focus on flowing with your breath, making each movement as graceful and fluid as possible; mimic the movement of water (the element associated with this chakra) to help harmonise this chakra. 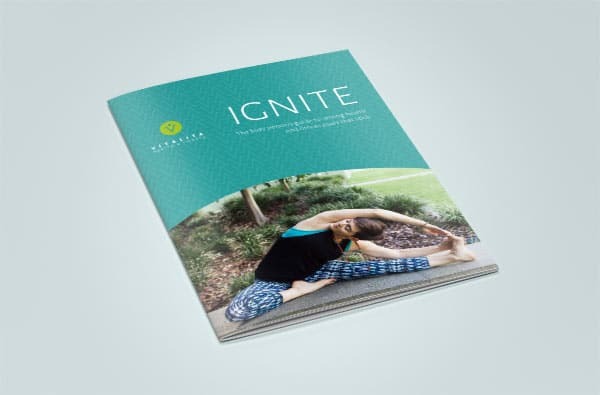 You’ll need 1 or 2 yoga blocks for this sequence… but a thick hardback book will also work. The Ujjayi breath (the pranayama used to balance the svadisthana chakra) is made by inhaling through the nose and exhaling with a slightly constricted throat, through the nose. If you were doing this pranayama in a class with others, the person next to you would be able to hear you making a soft ocean-like sound. If you sound more like Darth Vader than a water deity, dial it back a bit. Ujjayi pranayama should feel deeply pleasurable. Try incorporating this breath as you move through the yoga practice above. I created this meditation for you to tap into the energy of the sacral chakra. 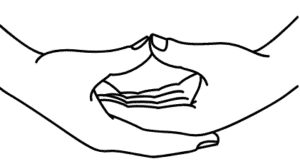 Find somewhere comfortable to sit and take dhyani mudra, resting the back of your right hand in the palm of your left hand and bringing your thumbs to touch. This mudra invokes a sense of calm and contemplation. High-grade oils applied topically to the lower abdomen are helpful in promoting balance and health. Oils like basil, jasmine, rose, sandalwood and cardamom are my top picks! Being in or near water helps to balance the svadisthana chakra. Much like fluid yoga poses and movement, the element of water helps to energetically shift this chakra and bring it into harmony. In fact, Victorian-era doctors prescribed bathing in the sea to treat a variety of ailments, believing the salt water was therapeutic and healing. If you don’t live near the water, that’s ok. Imagine your svadisthana chakra being cleansed as you shower and drink water throughout your day. The kidneys are located in the area of the svadisthana chakra and are responsible for purification and detoxification. In Eastern medicine, the kidneys are considered to be the foundation of good health and energy. What we are seeing more and more though, is that the stress of modern day life (social media, juggling multiple commitments, mental health challenges, etc.) is impairing the health of the kidneys and adrenal glands (which are located above the kidneys). Although we can cope with a small amount of low grade stress, our bodies become unable to withstand this stress when it becomes persistent and chronic. 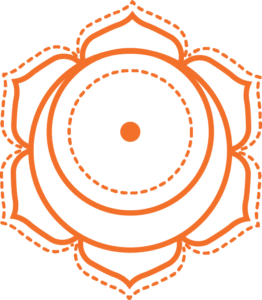 This particular health challenge can be benefitted by focussing on the health of your svadhisthana chakra (you may like to use the suggestions I offered above!) I also suggest things like meditation; removing caffeine, sugar and processed foods from your diet; getting an adequate amount of sleep and having tech-free time, as remedies to this health concern. I would love to know how you go bringing energy to your sacral chakra. Drop me a line and tell me, do you feel more creative? More joyful? More in tune with your sensuality and sexuality? Do your physical health problems begin to resolve themselves? When you’re done, get to know chakra number 3.